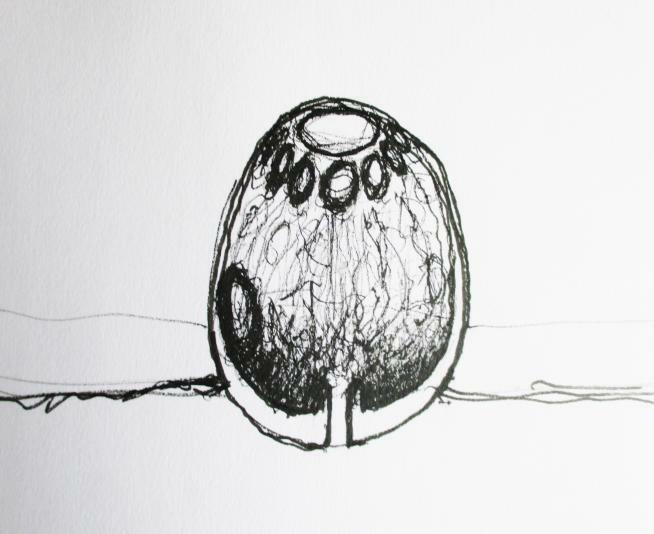 Stone egg. Photo courtesy the artist. The great river rises to unprecedented levels, the biosphere floats away on a great current, sweeping away the stone egg in a torrent, beginning its long journey to the sea. The Ark of the Anthropocene is an immersive environment designed for a 500 year flood. 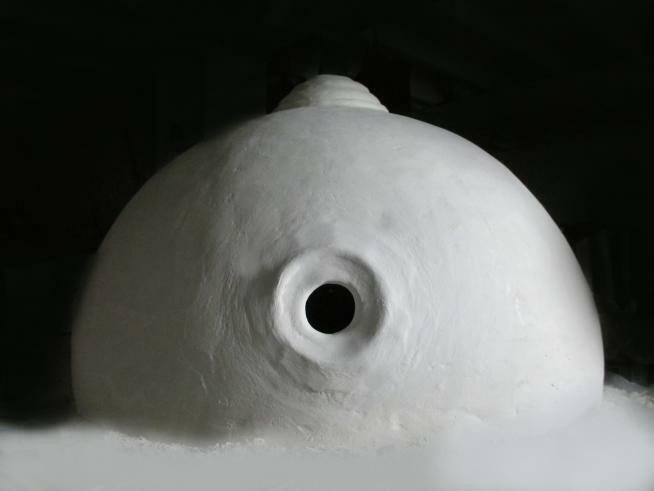 It’s structure, similar to the life sustaining Golghar in India, creates a sustainable ecosystem in the form of a stone egg. The concrete bowl supports the living trellis of grape vines and willow saplings. Step inside this orb to encounter the ecosystem growing within that is sustained by artificial light and glass lenses that channel, focus, and reflect light to make photosynthesis possible.